Caring for our health comes down to more than making nutritious choices and remaining active. It extends to the kind of cookware we use. 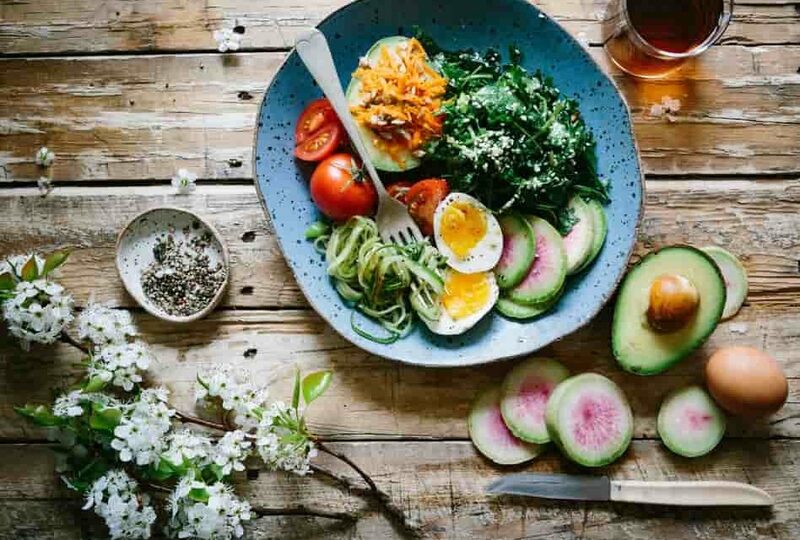 Whether you’re looking for a cookware set for fat-free cooking, or a set which won’t leach metals into your food, we’ve got the answers to guide you. It comes down to a combination of materials used, (base materials, coatings and glazes), and the overall quality of the cookware materials and construction processes. Read on to find out…which cookware is best for health? “Health” to you may mean cooking with less fat for weight loss, cholesterol or general wellbeing purposes. For this, you certainly need a cookware set to support you. You may be thinking it’s simply a matter of buying any old non-stick cookware set, but it’s a wee bit more complicated than that, and there are alternative options to consider. 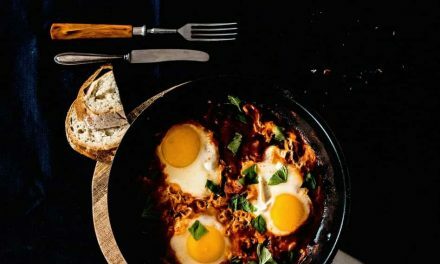 Some non-stick cookware brands (i.e. Teflon) are a little controversial when it comes to health and safety due to certain substances (PTFE and PFOA mostly) used to create that non-stick surface we look for. Luckily, many brands have answered the call and created safe non-toxic non-stick coatings. For healthy cookware to assist with fat-free cooking, consider PFOA and PRFE-free non-stick or season carbon steel cookware. Non-stick cookware is obviously the most ideal for fat-free cookware. However, to find a healthy option, you need to find a non-stick coating which doesn’t contain PFOA or PTFE. These two chemicals are damaging to health, especially if the cookware is heated to a very high temperature. Choose brands such as Cuisinart (their Green Gourmet non-stick range is PTFE and PFOA-free). Cuisinart uses a ceramic base for their non-stick coating which is completely safe. (The Ozeri Green Earth Frying Pan is also PTFE and PFOA-free and doesn’t pose the risk of metals leaching into food). Alternatively, you could consider a hard-anodizedaluminum cookware set as the hard-anodized surface is naturally non-stick and non-reactive without the addition of coatings or glazes. Carbon steel is a commonly-used metal for woks as it’s lightweight and can take a lot of heat. Carbon steel is made from steel (which is made up of iron and carbon) and has a higher carbon content than other steels. It’s also non-stick once it’s been heated and oiled a few times (seasoned). It develops a natural coating which releases food easily without risk of leaching or releasing toxic fumes. Check out De Buyer for amazing carbon steel pans for safe, healthy, low-fat cooking. If your health concerns regarding cookware are from a chemical or contamination point of view, you need cookware which doesn’t leach, chip, release fumes or become risky when heated to high levels. It comes down to more than just the materials used, but the quality of those materials when determining the health-factor of cookware. It pays to spend a little more money on a high-quality, well-made cookware set made from the best materials than to go for a cheaper set which may have been created with corners cut and sub-par materials. But as a guideline, there are a few specific cookware materials to start your search with. Cast iron cookware does leach a little bit of iron into food. However, this is a positive thing for many people (especially women) who struggle to maintain sufficient iron levels. If you’re unsure about this, check with your doctor, as some people suffer from the opposite issue and are prone to too much iron. Aside from that, seasoned cast iron cookware can take very high heat (and evenly so). It doesn’t require any coatings or glazes which can increase the risk of toxic substances being added to the surface of the cookware. When aluminum is put through an electrochemical process, the surface oxidizes and becomes super hard and incredibly durable. The oxidized surface is non-reactive and won’t leach any metals or toxins into your food. What’s more, when the surface is well maintained (i.e. 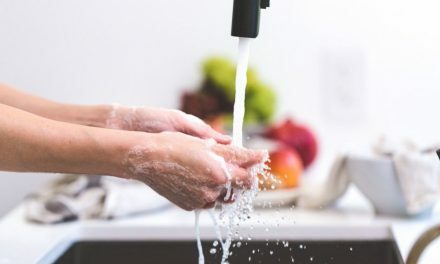 hand washing only and using non-metal utensils) it’s rather non-stick and very scratch-resistant. Have a look at Calphalon as they have many awesome hard-anodized aluminum cookware options. Stainless steel cookware is extremely safe and healthy to cook with, as long as you select a high-quality set made with premium stainless steel. Stainless steel is non-corrosive and won’t leach harmful levels of heavy metals and toxins into your food. 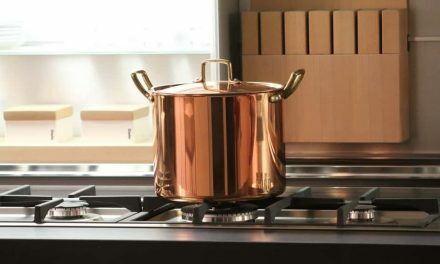 Brands like Calphalon, Cuisinart and Scanpan use high-quality stainless steel which has been sandwiched around a copper or aluminum core to increase the heat conductivity. See also: What is the healthiest stainless steel cookware? Ceramic cookware is one of the healthiest cookware options, as long as you choose wisely. Some ceramic cookware brands have been known to use a glaze which contains lead and cadmium…not good for health. Other ceramic cookware brands have a brittle or thin ceramic layer coating an aluminum base. When the ceramic chips, the metal below can leach. However, 100% ceramic cookware, and cookware with a thick, sturdy ceramic coating free of cadmium and lead are among the very best cookware sets you can buy in terms of health and safety. Check out Green Pan for super safe and healthy ceramic cookware without any PTFE, PFOA, lead or cadmium. The thing about cookware is that it can be healthy or unhealthy depending on the base materials, coatings, glazes and processes used. It’s important to find a brand which is clear about their health and safety features so you can be sure about what’s exactly in your cookware. For non-stick options, look for non-stick or ceramic-coated cookware free from lead, cadmium PTFE and PFOA. Or, opt for a carbon steel pan and keep it seasoned for a non-stick surface for cooking with less fat. For general health and safety, go for cast iron (unless you have an excess iron condition), hard-anodized aluminum, stainless steel and non-toxic ceramic cookware. If you have specific health issues which you’re concerned about exacerbating by using certain cookware, chat to your doctor. They can point you in the right direction of the best cookware surfaces to use for your body’s needs. PreviousWhat Pots and Pans are Made In The USA? 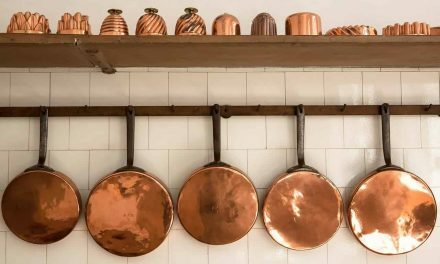 NextCopper Chef Vs Red Copper: What is Best for You?